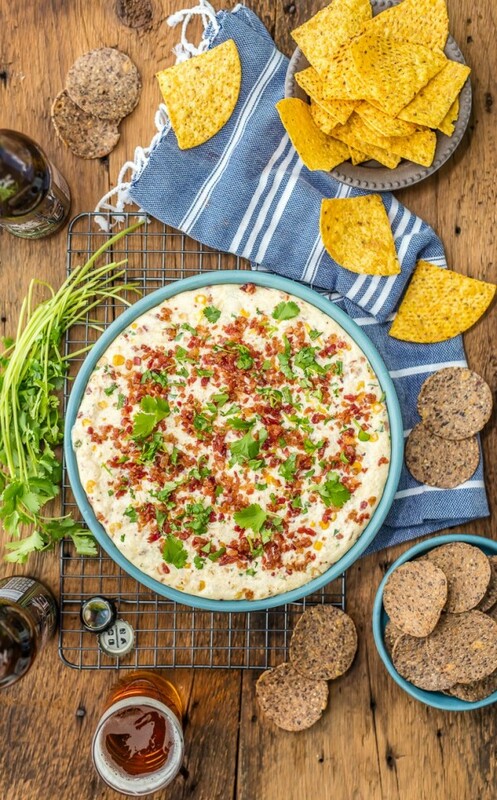 HOT CORN AND BACON BEER CHEESE DIP! 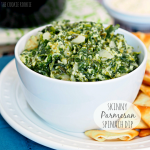 The perfect appetizer for entertaining. Perfect for any party of tailgating! Pat loves most of the foods I make…but to be honest, some are just too girly for him. Some things the fruity cocktails, lightened up sides, and virtually anything with onions are just not his cup of tea! He tries, but those aren’t the recipes that get him excited that I’m a food blogger. 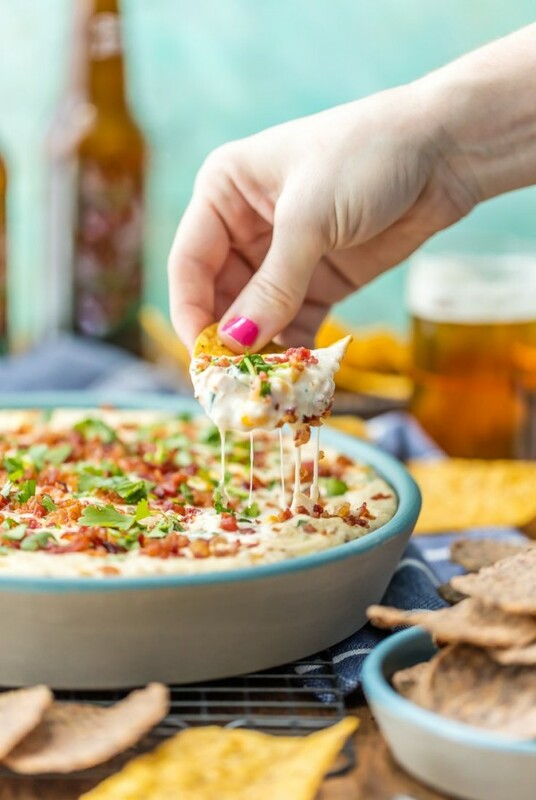 Days that I make cheesy dip loaded with bacon and beer? Now THOSE are the days that get him excited. Those are the days that he comes home and reheats WAY too much of whatever I made and scarfs it down for dinner. I love those days. 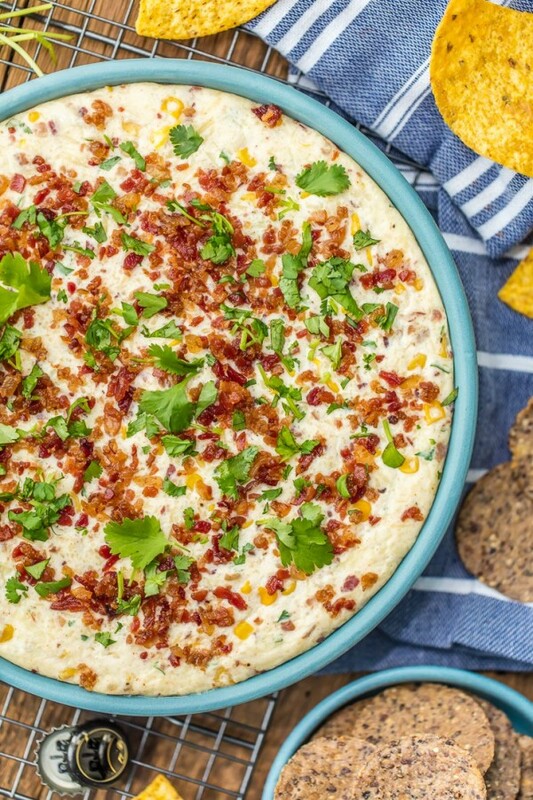 This Hot Corn and Bacon Beer Cheese Dip is his new favorite, and it’s no shocker why. Beer, cheese, bacon, corn, cheese…did I say beer? 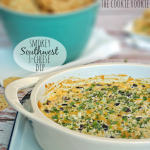 All of his favorite things rolled into one amazing dip, just perfect for tailgating and MARCH MADNESS! We may not have a team in the mix this year (Mizzou is giving us quite the slow couple of fan years), but we still love basketball and look forward to eating our way through March Madness! Our life just wouldn’t be complete without chips and dip. Sadly, I could eat it for every meal. 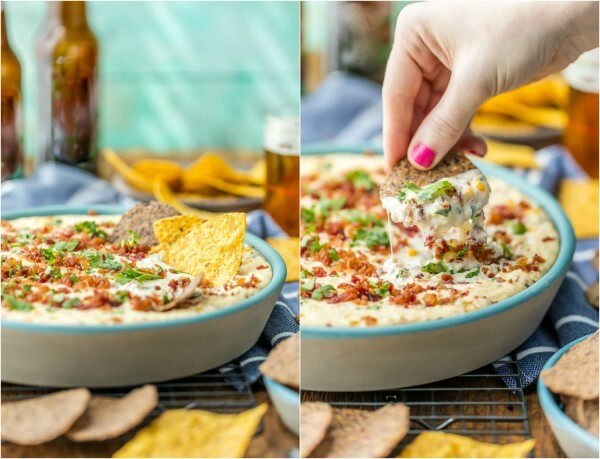 This Hot Corn and Bacon Beer Cheese Dip is especially addicting. I have some left just beaconing me from the fridge right now. It’s the best problem I’ve ever had. I mean…LOOK AT ALL THAT BACON! All that cheese. All that cilantro. And the ingredients you can’t see, like BEER! 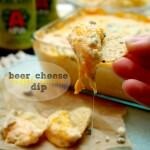 Beer and cheese, a culinary match made in heaven! 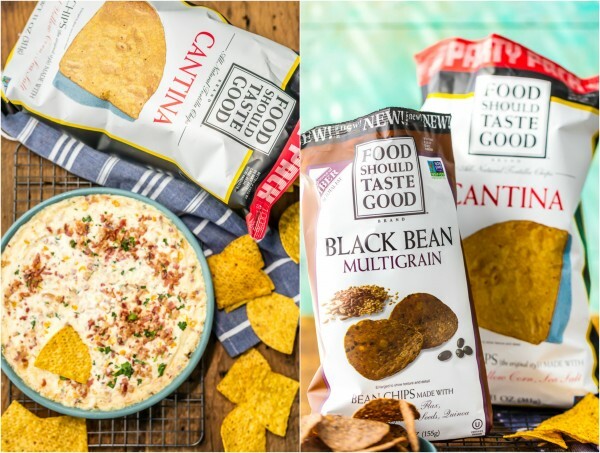 A good dip deserves an even better chip, and you’re in luck when you pair with Food Should Taste Good! Food Should Taste Good chips are HANDS DOWN my new favorite and they have a flavor for every style of dip. 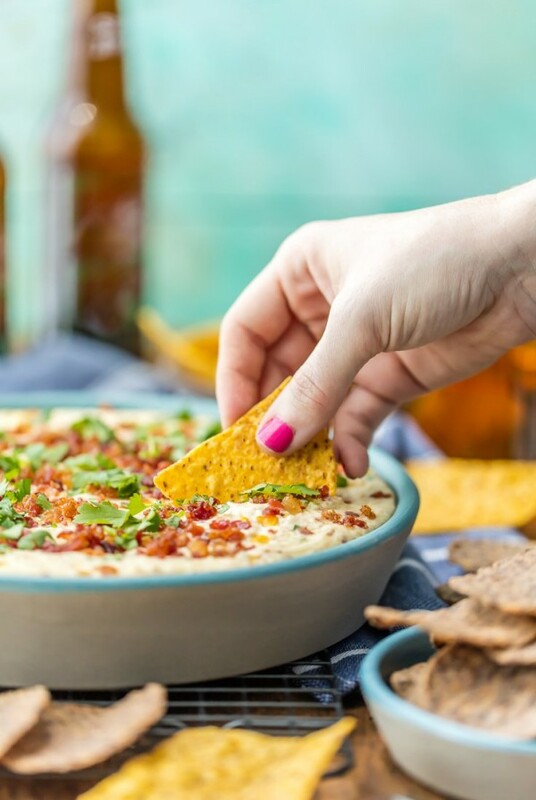 Their Cantina Tortilla Chips are my go-to for every occasion (SO CRISPY) and their New Black Bean Multigrain Chips were just way too good with this Hot Corn and Bacon Beer Cheese Dip. SO naturally…I used both. Food Should Taste Good products are Gluten Free, Cholesterol Free, have zero grams trans fat, and never any GMOs. What’s not to love?? 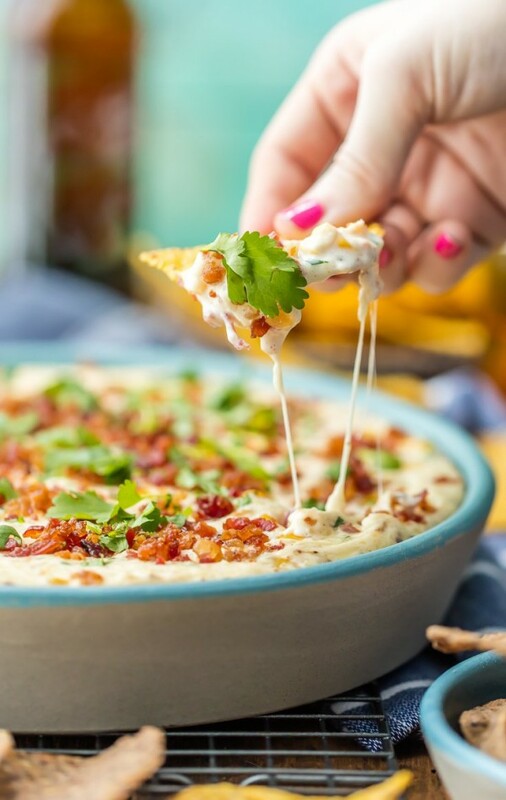 March Madness has met its match with these amazing chips and this Hot Corn and Bacon Beer Cheese Dip! There you have it. 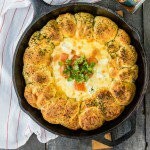 Pat’s new favorite recipe. He’s a hard man to please, but with beer and cheese in the equation, I aim to please. March Madness means we will have several weeks of eating chips and dip for every meal. I’m not complaining! 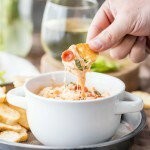 I paired this dip with cold IPA because of it’s depth of flavor while still being crisp and light. 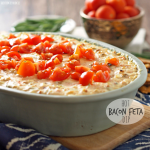 It’s one of our favorites and is perfect for tailgating! Be sure to check out Food Should Taste Good HERE (and see all their flavors HERE). You won’t be disappointed! Enjoy! Food Should Taste Good chips for serving! 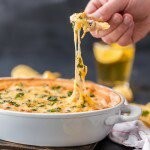 Place the cream cheese, parmesan cheese, beer, 1 cup mozzarella/provolone blend, pepper, paprika, and garlic powder into a high powered blender. Blend until fully combined. It will be a bit thin which is fine. 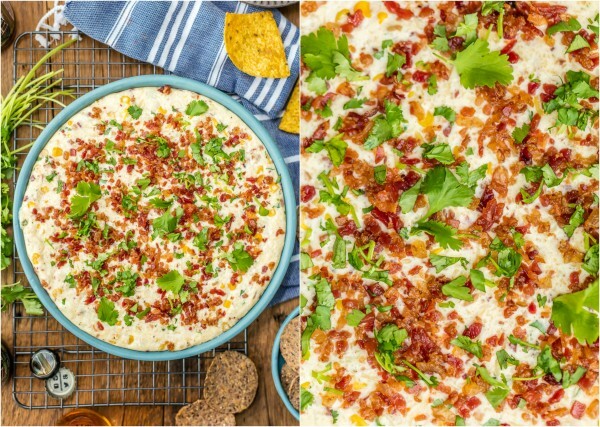 Pour mixture into a large bowl and stir in the corn, bacon, cilantro, and remaining 1 cup mozzarella/provolone blend. Spoon mixture into an oven safe baking dish and sprinkle with the remaining bacon. 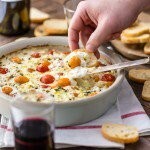 Cook for 15-20 minutes or until mixture is hot and bubbly. Sprinkle with extra cilantro and serve with Food Should Taste Good chips. 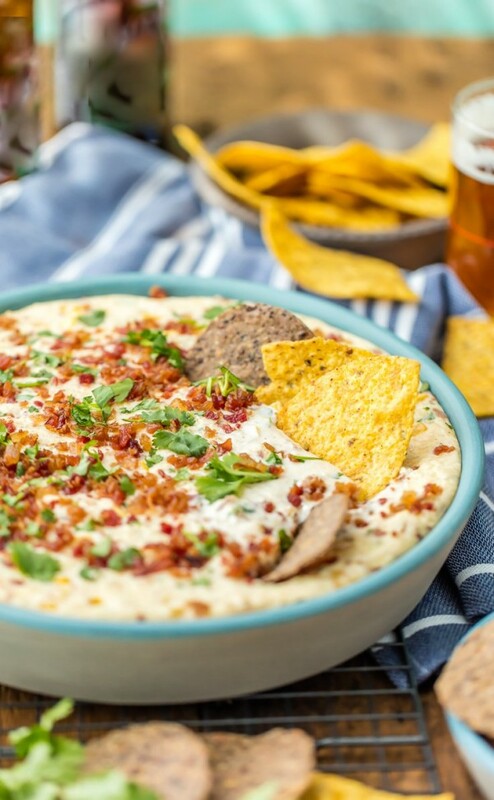 The post Hot Corn and Bacon Beer Cheese Dip appeared first on The Cookie Rookie.